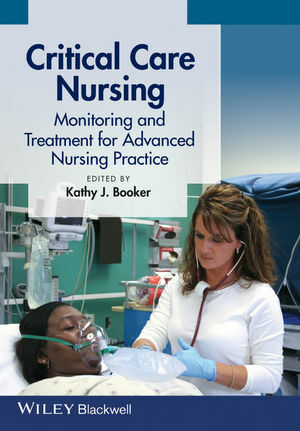 Providing an easy-to-use reference, Critical Care Nursing outlines best practice for the assessment, monitoring and treatment of critically ill adult patients. Each chapter includes research and evidence-based strategies for treating commonly-seen conditions. Initial chapters introduce ICU set-up and operation, the rapid response team, vitals measurement and shock management strategies. Subsequent chapters, structured by organ system, focus on care relating to specific organ function and dysfunction, including the respiratory, cardiovascular, neurologic, renal and gastrointestinal systems. Key information on monitoring for overdoses, special considerations in traumatic injury and end-of-life concerns is also included. Critical Care Nursing is a comprehensive and informative resource for experienced staff nurses and advanced practice nurses working with critically ill patients on ICUs, PCUs, transitional care units and within emergency care departments. Kathy Booker is Director and Professor, Millikin University School of Nursing, Illinois, USA. She has held former positions as Specialty Director of the Adult Advanced Practice Program in the School of Nursing, Yale University, Connecticut, USA, and Dean of the College of Professional Studies at Millikin University. She has been certified as a Critical Care Registered Nurse (CCRN) for over twenty years, currently holding alumnus status CCRN. She practiced as a critical care RN and Clinical Nurse Specialist for over twenty-five years.